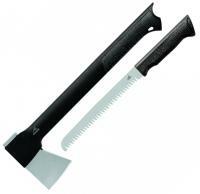 I examined & used a saw of the same brand & size during a trip to work a trapping line with a friend in Canada. We carried them on ATV's to clear the trapline path & they worked extremely well, cutting trees & branches up to 10 inch diameter quickly, with minimum effort. 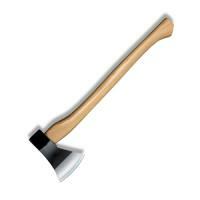 After returning from my trip I searched the internet for the saw & found the best price on this site. Delivery was prompt & service was most courteous. This is a great saw! 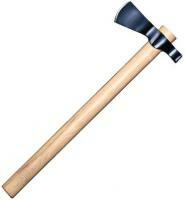 Love it, saws through bone and wood with ease, doesn't bend or break. 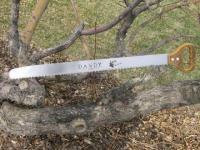 This is a great saw! I like the sleeve. It fits in and it is lighter than I expected. 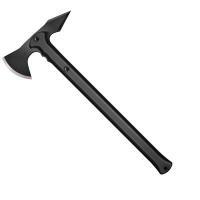 I did expect the handle to have more finish but it cuts well and is comfortable to use. I was a little disappointed with the performance of this saw. It cut "OK" but I feel if the teeth were more offset it would cut better. I still like the product but there is room for improvement. and we make sure that it is! 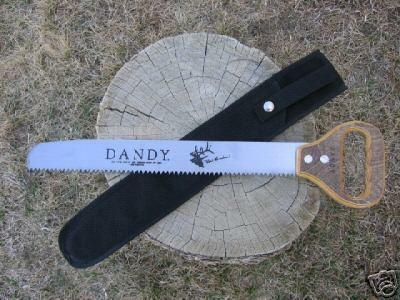 I assure you that you will thank yourselves every hunting season for having bought a Dandy Saw. 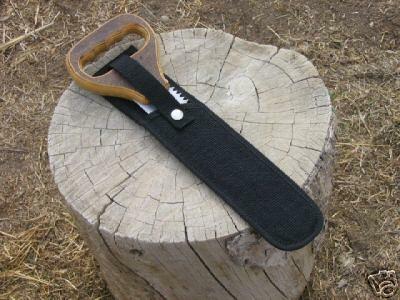 It is the best camping and hunting saw on the market and a must have for any serious outfitter, camper, hunter, and hiker. 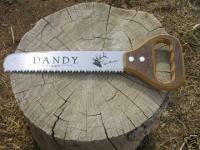 If you want a high quality saw that will last you the rest of your life then get a Dandy!